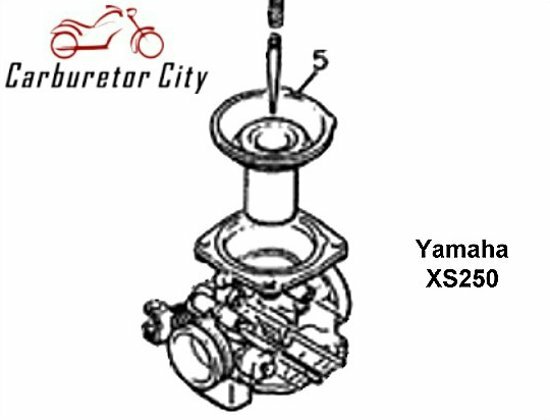 Replacement Throttle Slide Diaphragm for the carburetors of the Yamaha XS250. Normally this diaphragm is not available as a separate spare part but as the existing stocks of complete throttle slides are depleted, this is an excellent alternative to keep your motorcycle on the road. 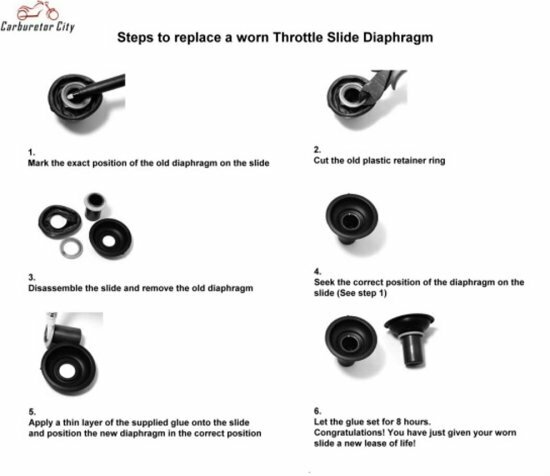 Please note that replacing this diaphragm does require a certain degree of handicraft. Please read the instructions carefully before making your purchase. This diaphragm is supplied complete with the glue that is required for the assembly. This is item number 5 in the drawing. 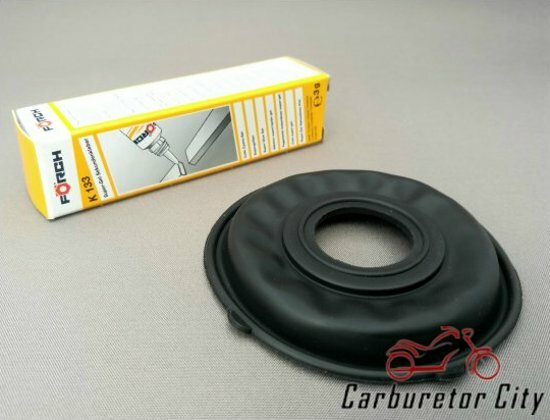 This is a Carburetor City replacement diaphragm of excellent German manufacture.